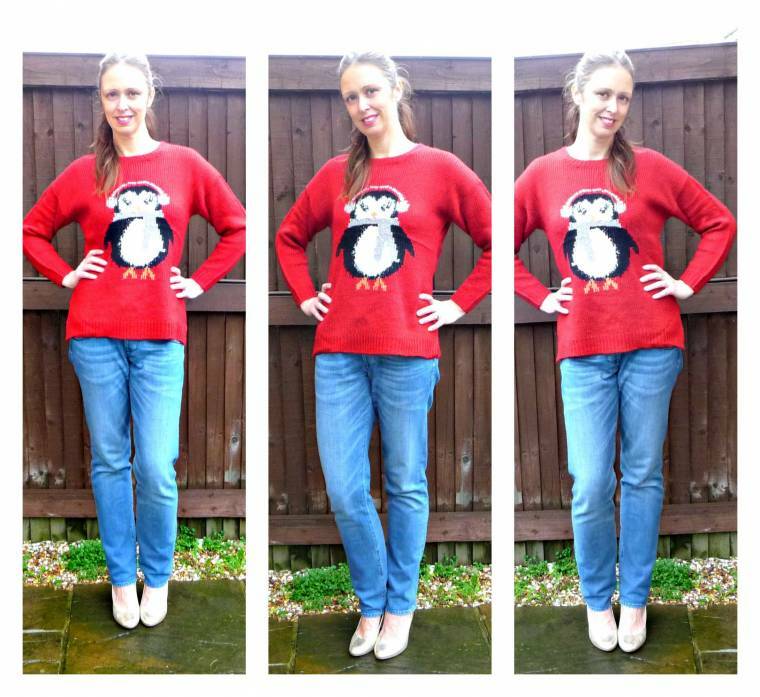 Christmas Jumpers From Bonmarche Review. A few weeks ago I was kindly asked by Bonmarche if I would like to review some clothing from their website. The first thought that sprang to mind, was how my Grandma loved this shop. When she was alive we used to go on a regular shopping trips. We could never pass Bonmarche without calling in, so she could pick out something new to wear. When I read the email I wondered if they would sell anything for my age group? Thinking back to when my Grandma shopped here, she would often ask me if I would like anything, but at the time there was never really anything I liked. Taking a look at their website before I decided to do the review and these sweet Christmas jumpers were the first things I noticed. Then I had a look through all their other clothing. Wow, what a transformation from what I remember there were plenty of things I liked and would love to wear! As I say the jumpers caught my attention straight away, but I also had my eye on some David Emanuel beautiful designed party dresses too. (Just in case Santa is reading!). The first item I wore is this fun penguin jumper, so adorable!?! Designed wearing his ear muffs and scarf on. This jumper is so cosy, warm and so much fun to wear. I can guess it will go with loads of things in my wardrobe. Fun and exciting just in time for Christmas are our launch of Novelty jumpers. Indulge in a bit of festive cheer to entertain the whole family.
. Designed with a drop shoulder fit to be flattering to all. The next day I wore this one. Aww this reindeer jumper is just so cute. I’m thinking this will look great with everything too especially grey joggers!?! and pencil skirts. These make great cosy warm presents for a touch of fun. Designed with a drop shoulder fit to be flattering to all. I just love these jumpers. So sweet, warm cosy and unbelievably adorable. I picked size small as I am a size 10 and this size fits perfect. I am so glad Bonmarche got in touch with me as I would have usually walked straight by their stores. As I thought they were not my age group and style of clothes. Not any more I am popping down to my local store this week to go and check out their in-store party range. 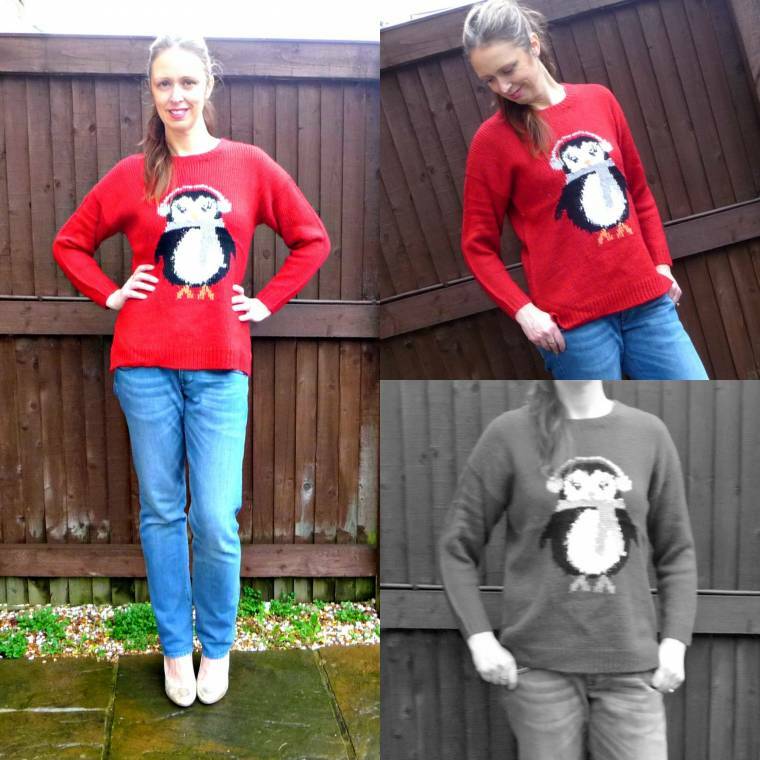 About this post: I have been gifted some Christmas jumpers of my choice from Bonmarche. All thoughts are my own opinion and I was not paid for this post. Alternative To A Little Black Dress: Over 40 Style. 4 Essential Summer Pieces From Bonmarché. New Bonmarché Coat For Autumn. Summer Dresses From my987wardrobe.com …. Great jumpers… love the penguin one the best …so cute !!! I like the red with the penguin! All these jumpers are super cute…but the reindeer one is our favourite!!! Those jumpers are really cute and look very warm and comfortable. My favorite is the penguin!